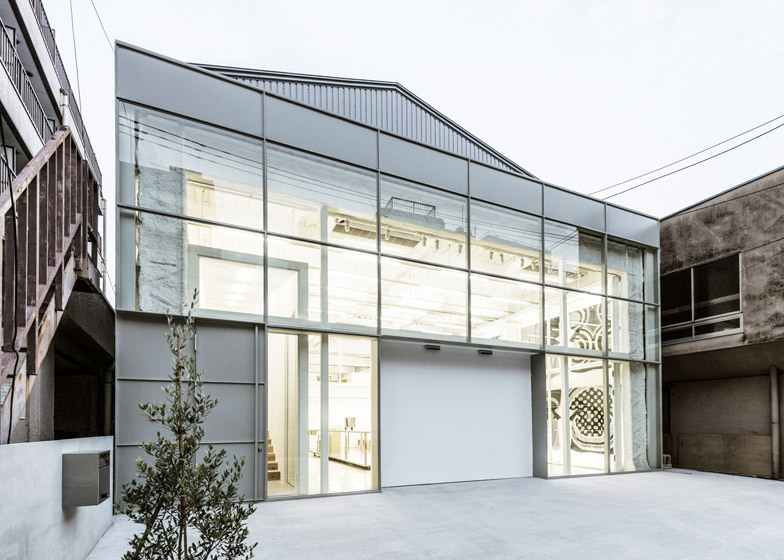 A chipboard shed and a herb garden occupy the top floor of this former factory in Tokyo that Schemata Architects has converted into a workshop for a kimono designer (+ slideshow). 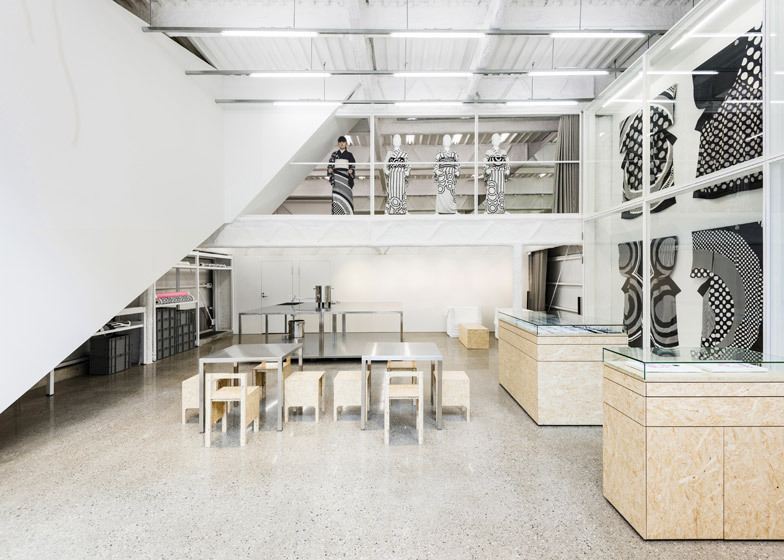 The Tokyo-based studio led by architect Jo Nagasaka transformed an old steel-framed factory building in Sumida ward to create the three-storey workspace for Takahashi Hiroko, an artist and textile designer who creates graphic monochrome prints for kimonos. 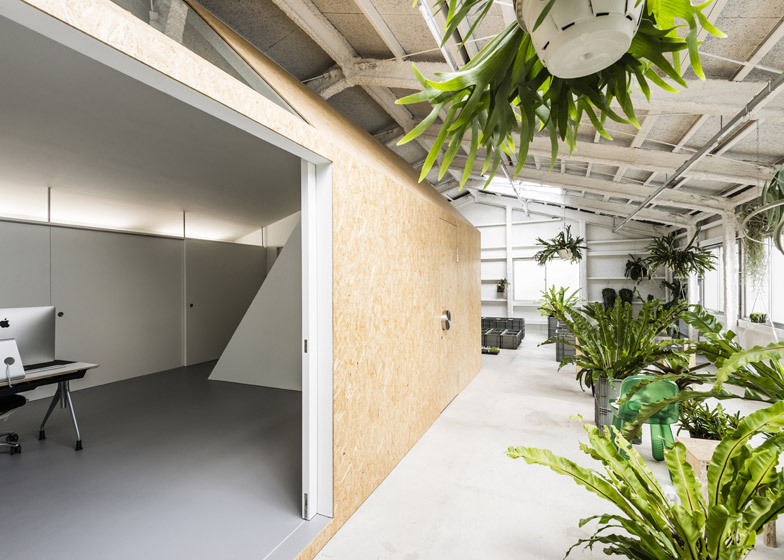 A private studio surrounded by planting is contained within a volume on the uppermost floor, while the two preceding levels provide exhibition spaces, a shop and fitting area. 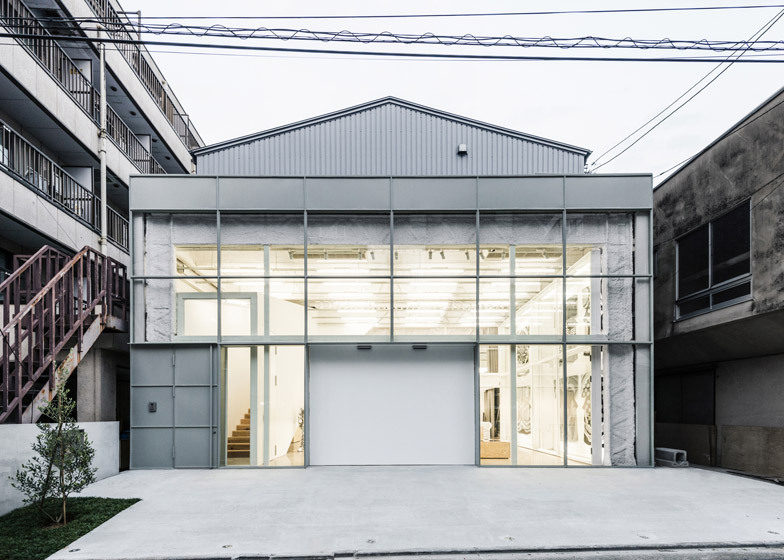 "The construction of the original building was based on the value of quantity over quality," explained Schemata Architects. 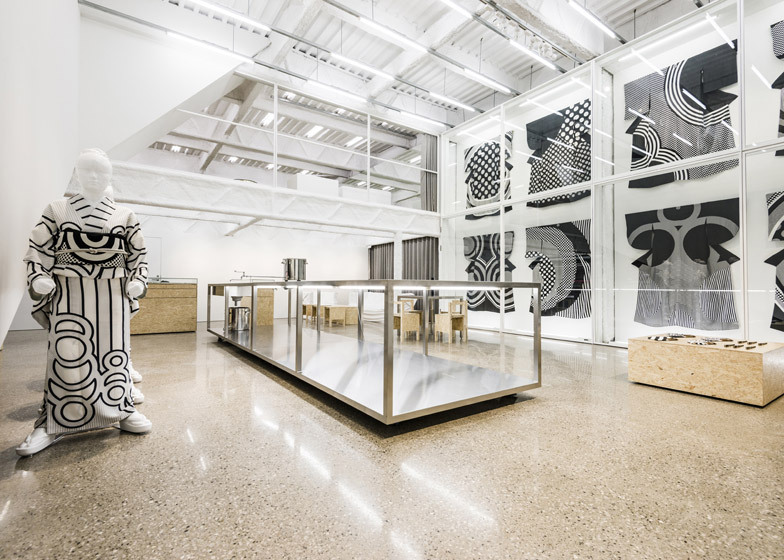 "As a result, you can see various gaps and distortions all over the building after 40 years, which are made even more clearly visible by newly applied coating and finishes." 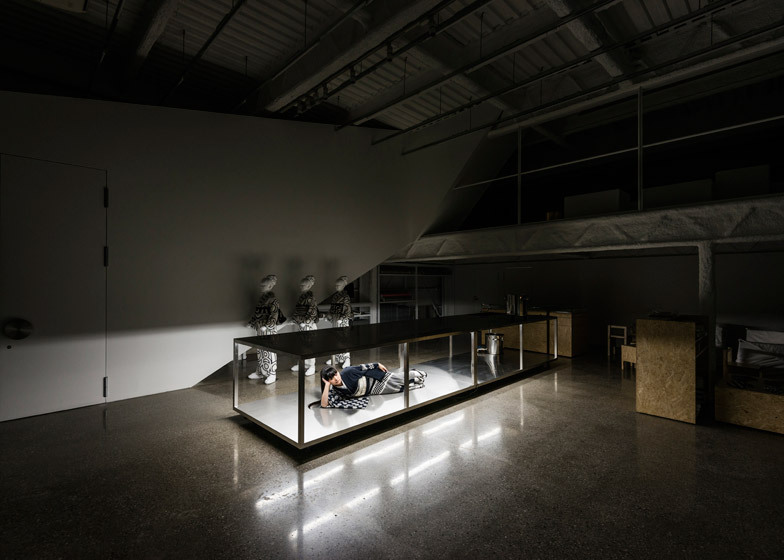 "We intended to transform these gaps and distortions into unique spaces where one encounters unexpected experiences," said the team. 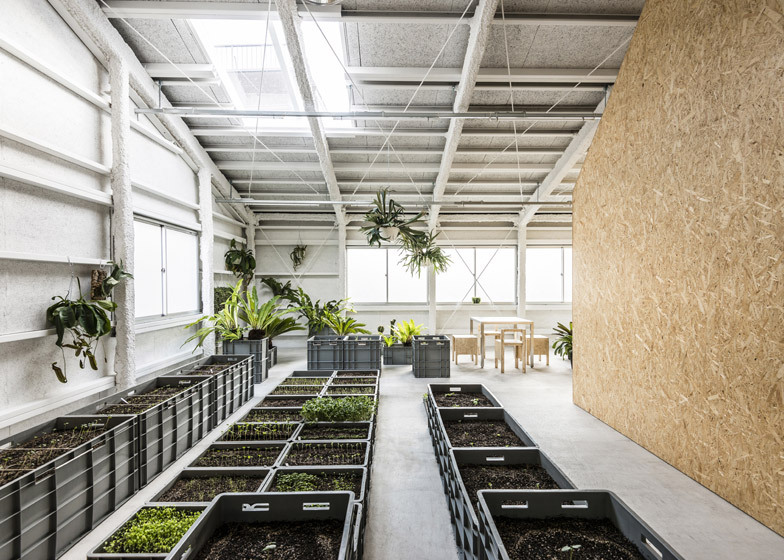 A door opens from the chipboard hut into an indoor garden where edible plants and seedlings are potted in stacked grey plastic crates. 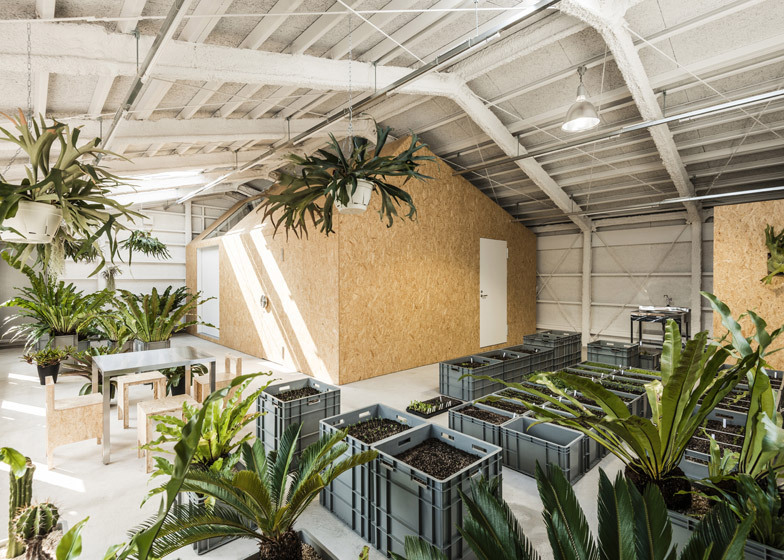 Larger leafy and trailing species planted in hanging vessels are suspended on lengths of chain from the metal rafters, which have been been treated with a white fireproof coating that gives them a textured finish. 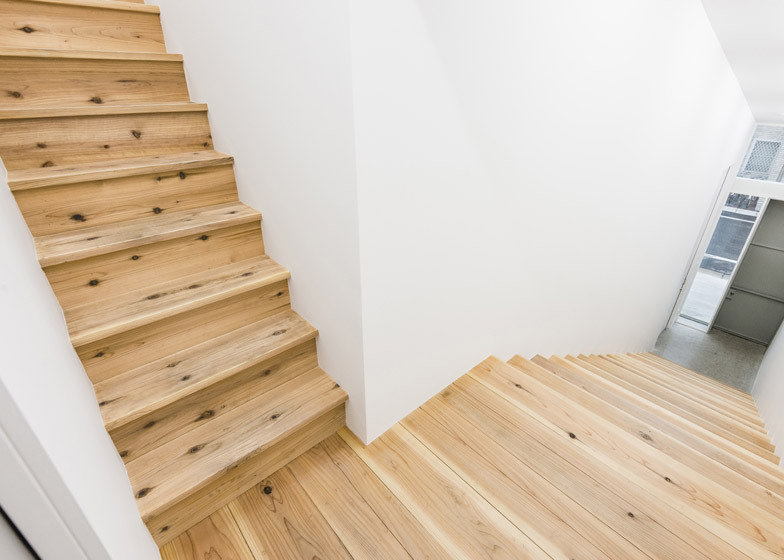 A flight of wooden stairs descend from the shed into a mirrored fitting area on the first floor and then on to the ground floor, where the primary exhibition and meeting space can be seen through the building's glazed facade. 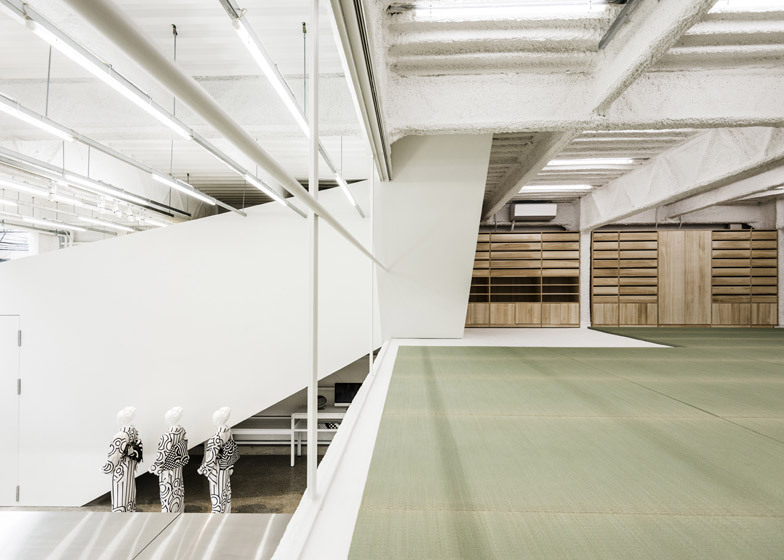 A large atrium provides a double-height exhibition space where kimonos are displayed in a vast wall-mounted cabinet. 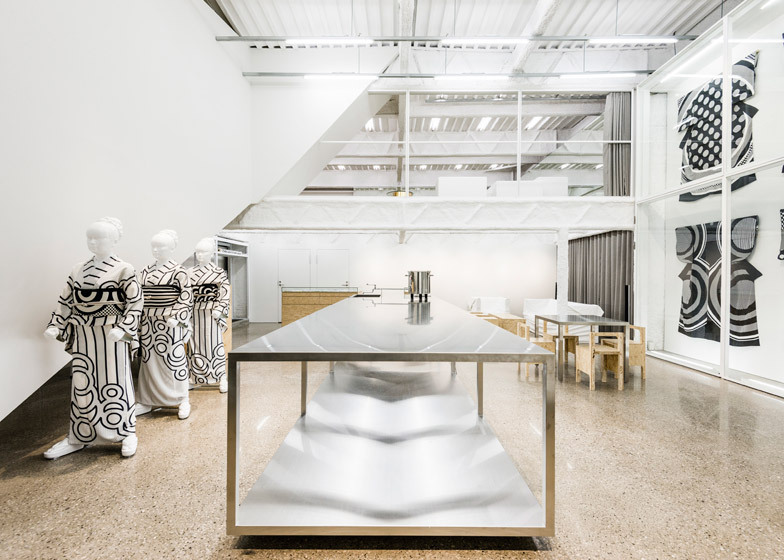 On the ground floor, two large metal tables can be adapted to create a meeting space, or to be used as a flat display area. 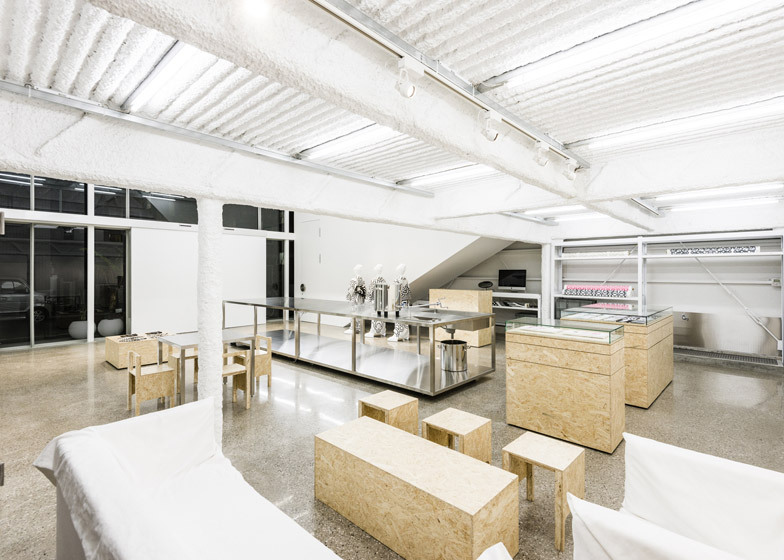 A series of smaller chipboard plinths can be used to lay out small accessories and pieces of material. 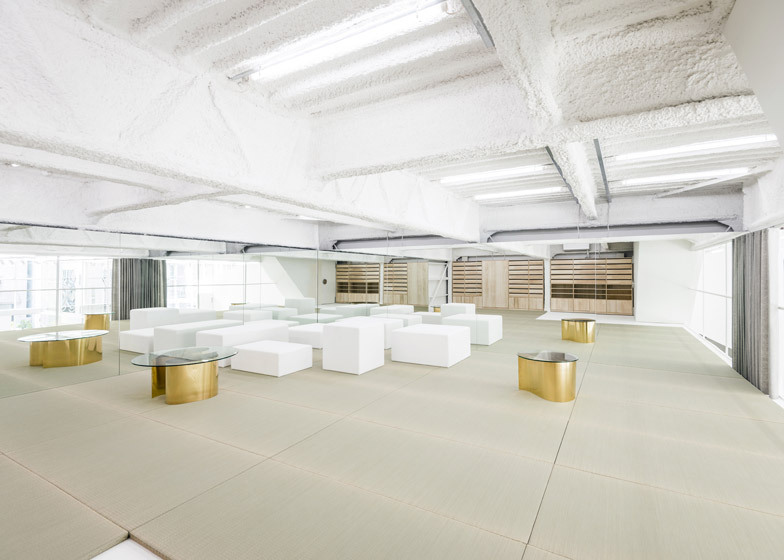 A white door opens into a contained staircase at one side of the space, leading to first floor fitting rooms with mirrored walls, neutral-toned tatami matting and gold and white furnishings. 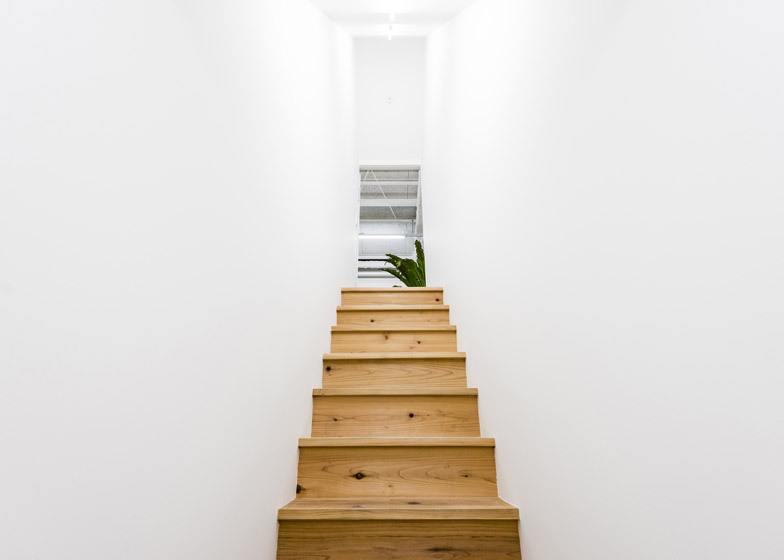 Strip lighting set into long metal frames brightly lights the lower floors, giving these two spaces a more industrial appearance. 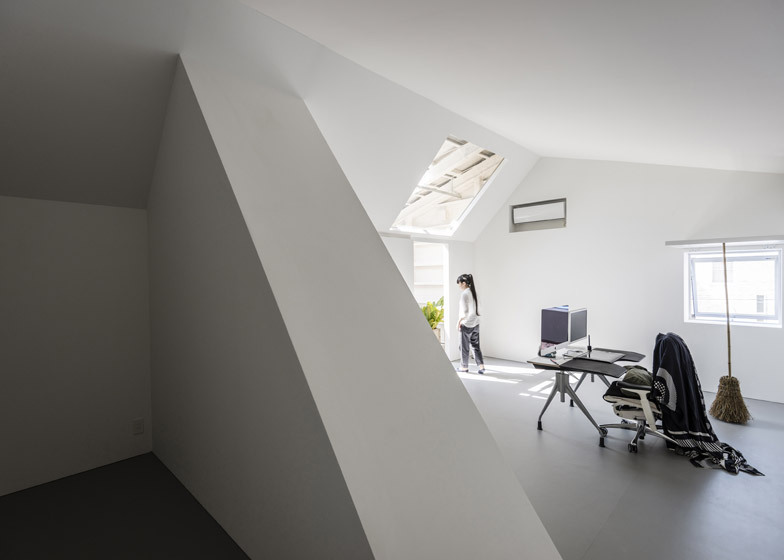 Photography is by Shiori Kawamoto.